“My learners prefer using PDF - adding Raptivity interactions to PDF makes it an interactive PDF! Boosts learner engagement manifold,” says Dr. Karina Kasztelnik, Professor at Colorado State University. Recently, four leading experts from education industry came together to share their experience of working with Raptivity for creating learning interactions. In the webinar titled, “Innovative Applications of Raptivity in Education”, Caryl Oliver, Founding Director of International Association for Mobile Learning, Sherry Vafa, Assistant Professor at University of Houston, Mary Lasater, Assistant Professor at University of Houston and Dr. Karina Kasztelnik, Professor at Colorado State University encapsulated nuggets of experiences of using interactivity at its best. The industry veterans spoke at length how they have leveraged Raptivity in their learning environment to create compelling, enriching courseware. They shared how Raptivity has helped them deliver interactive learning content for their learners. Caryl Oliver has around 10 years of Raptivity Experience and she uses the STEEP (Social, Technical, Educational, Environmental, Psychological) model for creating interactivity using Raptivity. It helps in eradicating pages and pages of content and presents them into crisp points. Caryl also shared that there is no need of having too many slides of a PowerPoint presentation for learning content; instead, she recommends using a game based interactivity in educating the learner. Raptivity helped teachers in onboarding new practices that were a part of a new mandate in UK through Open Box Interactivity. Mary Lasater uses Raptivity for creating PPR (Pedagogy and Professional Responsibilities) Exam for vocabulary having 13 competencies. University of Houston received grants for purchasing and onboarding Raptivity. Raptivity enabled Dr. Karina Kasztelnik to create online quizzes quickly. Dr. Karina requires only 10 to 15 minutes to develop a 40-question quiz instead of 2 hours. She finds the tool to be handy on campus as Raptivity creates HTML output that can be shared with students for a quick test. Dr. Karina shared a very interesting way she uses Raptivity for her learners – Her learners prefer using PDF and so she adds Raptivity interactions to PDF making it an interactive PDF! These experiences certainly denote that Raptivity is a preferred tool across all levels of education right from K-12, higher education to leadership training. I am sure you all would be interested to try Raptivity, isn’t it? 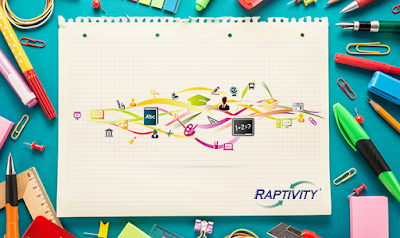 As said, you do not need a programming background to explore Raptivity and it takes no more than few minutes to get started with Raptivity. So, what are you waiting for? Start your free trial now!